With The Baltic shaping up to be one of Europe’s most trendy travel regions for the next European summer season, Oceania Cruises is seeing a surge in bookings to this magical destination. The brand has a raft of stunning 2019 itineraries to the Baltic on offer– featuring picturesque ports, immersive culinary tours, overnight stays and The Finest Cuisine at Sea™. 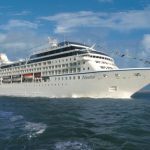 “Oceania Cruises offers guests the chance to discover exquisite cities along the shores of the Baltic Sea, where they can absorb the region’s rich history and colossal castles. Travellers will love traversing UNESCO World Heritage sites and experiencing the beauty of the Baltic region from the comfort of our mid-sized ships,” said Steve Odell, SVP & Managing Director Asia Pacific, Oceania Cruises. “Whether exploring boutique Baltic ports inaccessible to larger vessels such as the mountainous Bodo in Norway, discovering ancient Viking settlements, enjoying a night at the Russian ballet, or exploring the fjords, farms and fishing villages of the Nordic isles, there are many reasons this is the most sought-after region of Europe for savvy travellers right now,” he added. Renowned for offering The Finest Cuisine at Sea™, onboard culinary enrichment programs and foodie-focused shore excursions, with access to boutique ports inaccessible to larger ships -Oceania Cruises offers 18 spectacular Baltic itineraries onboard three of the fleets mid-sized ships, ranging from seven to twenty days. Oceania’s port-intensive Baltic voyages feature more extended and overnight stays in ports than most other cruise lines, enabling guests to truly immerse themselves in Europe’s ‘must see’ region for 2019. A seven-day Baltic Marvels from Stockholm to Copenhagen, with departures in both July and September, visiting ports including Helsinki, St Petersburg, Tallinn and Berlin. The fortnight-long Opulent Reflections departs Copenhagen in September for Amsterdam, via Helsinki, Tallinn, Stockholm, Poland, Berlin, Sweden and Norway – as well an extended overnight stay in spectacular St Petersburg. For those who fancy an extended adventure in the region, the epic 20-day roundtrip Vikings & Royals departs Southampton in August visiting intriguing ports including Edinburgh, Iceland, Greenland and both Northern Ireland and Dublin. Early bird fares are available, together with Oceania Cruises’ popular OLife Choice offer, giving guests free onboard internet as well as a choice of either free shore excursions, a free house beverage package, or a free ship board credit. 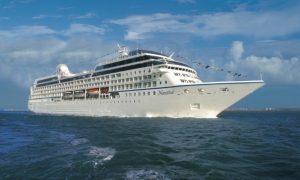 For those who are seeking a longer voyage, a number of Oceania Cruises’ itineraries can be combined, giving travellers the opportunity to extend their cruise and save on fares.For further details or to order your 2019 Europe brochure, please call Oceania Cruises on 1300 355 200 (AU), 0800 625 691 (NZ), visit OceaniaCruises.com or contact your travel agent.